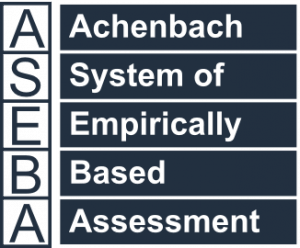 The Bibliography of Published Studies Using the Achenbach System of Empirically Based Assessment (ASEBA) lists over 8,000 publications (on 500 topics by some 15,000 authors from over 80 cultural groups and societies) that report use of ASEBA materials. The publications are listed according to topics such as Abuse, Aggression, Anxiety, Attention Deficits, Depression, Diagnosis, Diagnostic and Statistical Manual, Hispanic, Multiple Informants, Psychotherapy, School Behavior, and Special Education. Available online, the Bibliography is updated frequently. Are American Children’s Problems Still Getting Worse? Ratings of Relations Between DSM-IV Diagnostic Categories and Items of the Adult Self-Report (ASR) and Adult Behavior Checklist (ABCL) PDF.